Only 10% of Global Social Benefit Institute (GSBI®) alumni achieve significant growth despite being cutting edge enterprises with mentorship from experienced Silicon Valley practitioners. This goes to show that growing and scaling a social enterprise is complicated and difficult. The good news is that many of these social enterprises are having a tremendous impact in their locales, and some enterprises are starting to find ways to expand into new geographies, or what we term as “scale out”. Moreover, proven business models and technologies have a way of spreading, and entrepreneurs are naturally adopting ideas into new regions. We launched Miller Center’s Replication Initiative in 2016 because we recognized the need and opportunity to support these efforts to replicate and scale proven social enterprises. In our view, their are two sides of replication: scale out of existing enterprises into new territories, and supporting the uptake and adaptation of business models to increase the likelihood of success. As social enterprises validate their business and impact models, some entrepreneurs are testing expansion strategies by opening new branches, licensing core business features, exploring partnerships, or setting up franchises. These approaches are tools in a toolbox; often, a social enterprise will employ several strategies depending on market demands and opportunities. For example, Hippocampus Learning Centers, which provides early childhood education to underserved children, utilizes several strategies to expand their business in different states across India by using a mix of branch and partnership approaches, while also licensing their management software and curriculum to other entrepreneurs like Hipocampus Mexico with the support of a replication venture-builder, Connovo. Students at Hippocampus Learning Center (India). Team members at Hipocampus Centros de Aprendizaje (Mexico). There are other social enterprises focusing on franchising, which leverages small local businesses as franchisees of the parent company. Several enterprises pursue this model, such as Jibu providing access to clean drinking water across East Africa, or Nishant Bioenergy biomass pellet franchising in India and Africa. The franchising model is proving to work within very similar territories, but is challenging across different markets and cultural forces that may require organizational and business model variations. The University of New Hampshire’s Social Sector Franchising Initiative is doing some timely research on the social franchise sector, and have shared other success cases. We want to see more social enterprises design their scale-out strategies to maximize impact. Our Replication Initiative has developed a Scale-Out guide for more experienced enterprises to successfully grow beyond their initial commercialization and into new territories and countries. This guide will be introduced as a master class in the GSBI In-Residence Accelerator, and we are experimenting with deeper support to GSBI Alumni seeking to expand. With an already high demand for these services, Miller Center wants to refine its approach and increase partnerships to reach more entrepreneurs. While these pioneering social enterprises strengthen their business models and experiment with expansion strategies, innovations naturally spread. Solar technology, clean cookstoves, water filters, and services in education and distribution are proliferating through the efforts of aspiring entrepreneurs eyeing an opportunity then starting their business from scratch. With this natural spread of innovation, many entrepreneurs are “reinventing the wheel”. This means that the hard-earned lessons from previous entrepreneurs are not shared with earlier-stage ventures. There are, of course, examples of the impromptu uptake of proven business models that works. The growth of microfinance institutions across the globe is a well-known example of how a successful model can advance through a largely uncoordinated chain reaction. Harvey Koh, from FSG, a mission-driven consultancy, described in a Stanford Social Innovation Review article the similar adoption and innovation of low-cost sanitary pad enterprises. These phenomena are welcomed in the social enterprise space, but we are also seeing slow growth and too many failed ventures. In our Universal Energy Access white paper, we argued that 2.5 billion people worldwide suffering from energy poverty represents a total market of 500 million potential customers for public and private energy supplies. We concluded that this problem can be solved with the growth of 7,000 to 20,000 local energy enterprises. Without exemplary guidance from existing models, thousands of entrepreneurs are struggling to develop their businesses and gain market penetration. Thus, if the number of potential entrepreneurs increased, time to market was shortened, and new entrepreneurs were given a roadmap to success, then we can better equip startups to solve the energy access challenge. This hypothesis - that targeted support can decrease the time to market and increase success rates - hinges on new entrepreneurs adapting proven business models or partnering with existing social enterprises. There is an opportunity to alter business incubation and acceleration to not only foster new ideas, but also assist entrepreneurs in using their creativity in the expansion and adaptation processes. Several organizations, programs, and platforms are emerging with the aim to support this thinking. For instance, Connovo, a venture-builder in Mexico, replicates proven models in their incubation process. 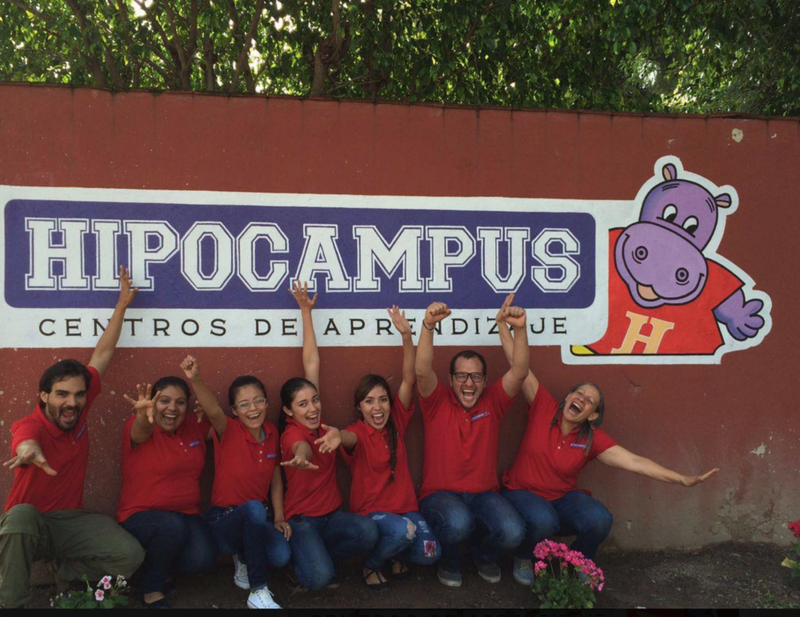 They developed a licensing partnership with a local entrepreneur to launch Hipocampus Mexico based on the original Hippocampus India model for early childhood education. This is just one example of the adaptation process they are pioneering. There are also the likes of Enviu, another venture-builder dedicated to scaling solutions, and Spring Impact, a non-profit consultancy, supporting entrepreneurs scale-out their enterprises. The SEED Replicator is an initiative supporting the uptake of proven business models in Africa, and there are platforms such as Connect to Grow connecting enterprises from India to South Asia and Africa. Miller Center is partnering with some of these organizations to coordinate replication efforts that spur a new type of incubation and acceleration of social enterprises. We are developing sector-specific playbooks, which identify, extract, and distill the best practices of exemplary businesses to help up-and-coming social entrepreneurs learn from the achievements and setbacks of those who traveled similar paths. We package these in a comprehensive set of tools, and deliver the playbook with the accompaniment of mentors assigned to each user. Our vision is to share these playbooks with the ecosystem and work with partners to distribute and support the use of these business models. We believe this will lead to faster growth and impact, reduce the risk of investment, and help move the sector to better assist aspiring entrepreneurs solve common challenges across geographies. Our first playbook on Last Mile Distribution has been well-received by a first cohort of entrepreneurs, and we will launch our second cohort shortly. We are partnering with expert organizations in last mile distribution like D-Prize, the Global Distributor’s Collective at Practical Action, and manufacturers and technology providers to improve our content and reach more entrepreneurs. The aim is to continuously improve the Last Mile Distribution Playbook and build other playbooks on micro-grids, safe-drinking water, ag-tech, and other business models. We will also provide deeper scale-out support to our GSBI Alumni as enterprises seek to expand their geographic reach and impact. It will take time to prove or disprove our hypotheses, yet we are confident that replicating and scaling what works is the way to exponentially multiply the number of successful social enterprises.